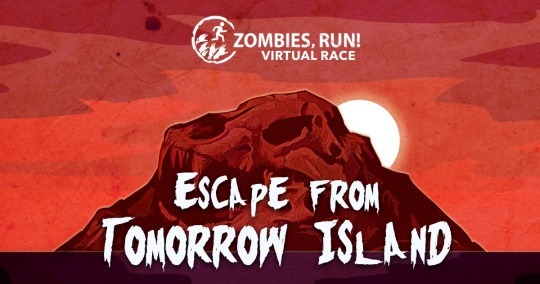 Welcome to Tomorrow Island – and our Halloween Virtual Race! – Zombies, Run! 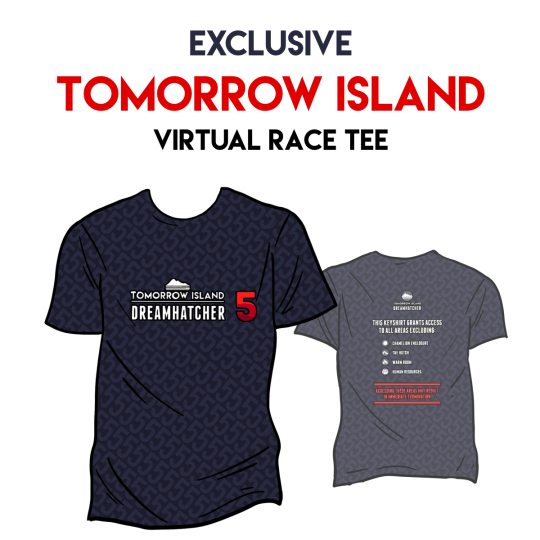 Welcome to Tomorrow Island – and our Halloween Virtual Race! Can you survive the horrors of a billionaire’s paradise where the hunters have become the hunted? It’s time to book your ticket for Tomorrow Island, the destination of our thrilling Halloween Virtual Race! YOUR MISSION: Recover tech essential for the survival of humanity from a theme park of fantastical animal hybrids. This Halloween, you’ll be venturing into an island of wonders… and horrors! Luckily, you’ll have Abel Township’s finest beside you, across two thrilling training missions and a 5k/10k virtual race. Our virtual races take place in a location and time of your choice: walk, jog or run wherever you are! And with the story set during Season 1, it’s perfect for all players. 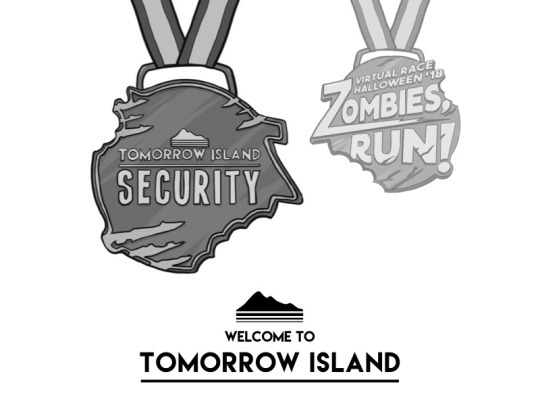 All entrants get a Medal and 16-page Tomorrow Island Colouring Book, plus a finisher’s certificate, briefing card, story emails, and training tips! Want more? Add on pro-spec tech shirts in unisex and women’s fits, hoodies, tanktops, personalised shirts – and for the first time, a Zombies, Run! 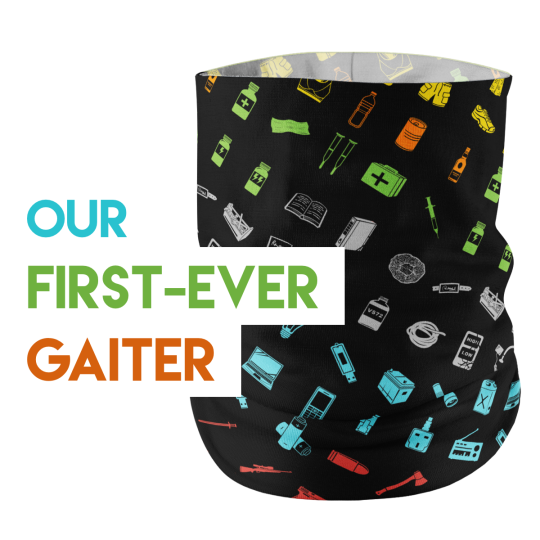 Neck Gaiter! But there’s more! You can also enter our epic Fall ‘16 & Spring ’17 races! Infiltrate the mysterious Xia-Hifa Corporation, and join the European Rescue Force at the dawn of the zombie apocalypse. They’re available together as a bundle for $30! Will you survive Tomorrow Island this Halloween…?